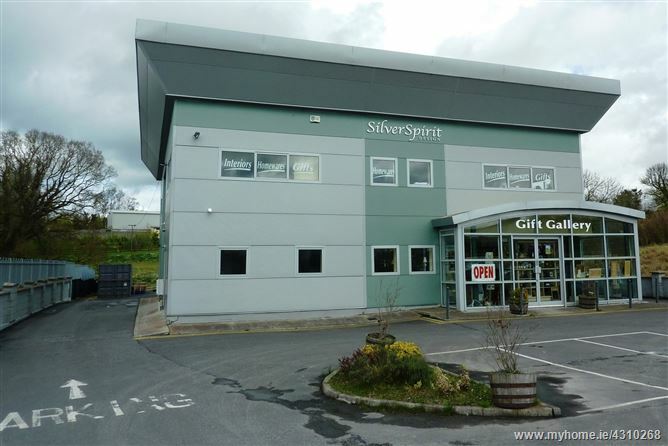 Substantial modern high profile two storey retail/ warehouse premises, set on a large site of 0.47 acres/0.2 HA., with enough room for full expansion, situated in pivotal location. 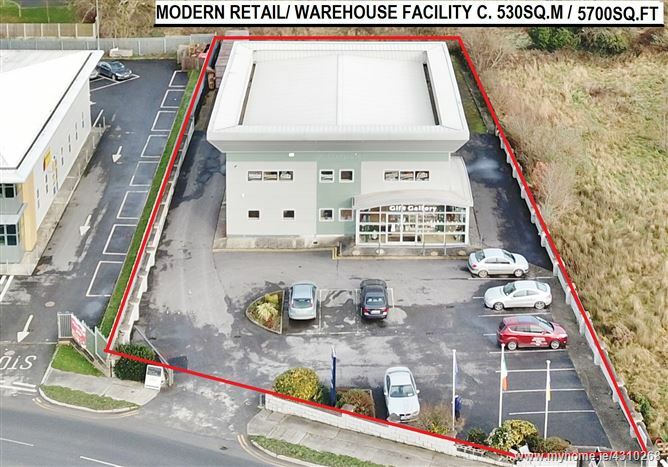 The property is laid out with large shop/ showrooms to the front of the ground floor with office and warehouse to the rear and office and warehousing on the first floor. 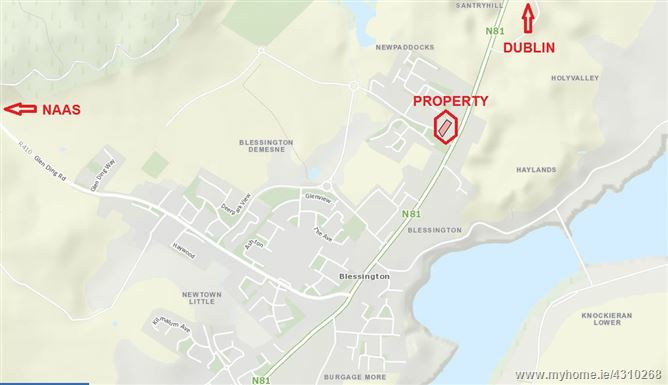 Situated on the Dublin side of Blessington fronting the Blessington Relief Road and close to the junction of the N81. 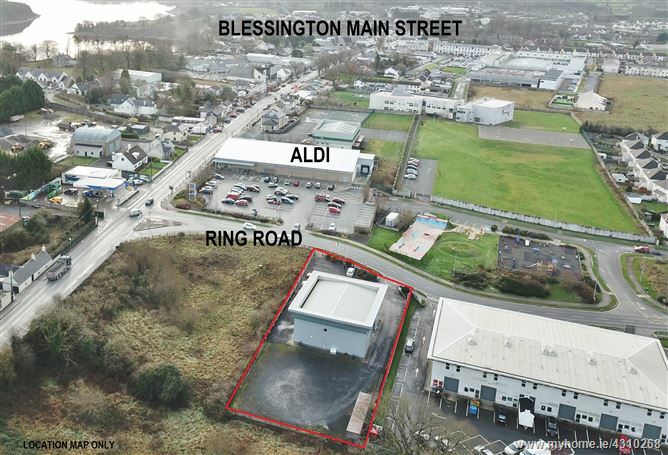 Adjacent occupiers include Wicklow County Council's office, the Blessington Fire Station, Maxol Service Station and Aldi Supermarket. Dublin: c. 18 miles. 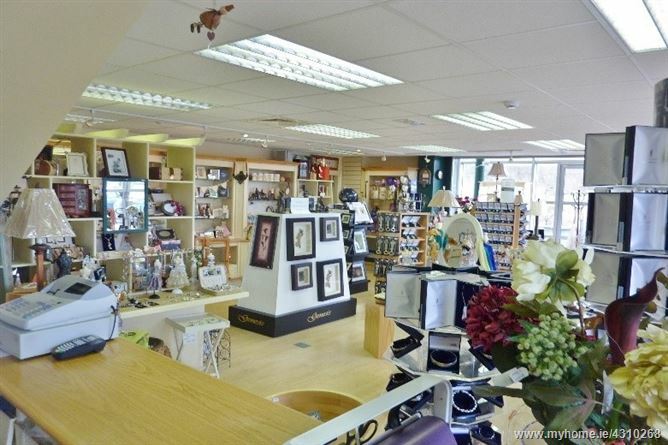 Naas: c. 6 miles. 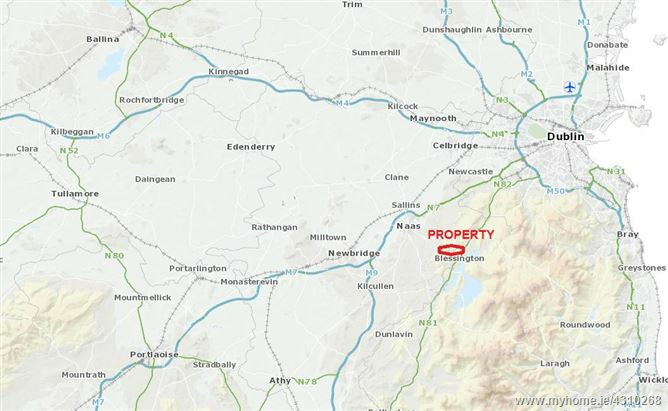 M50: c. 12 miles. 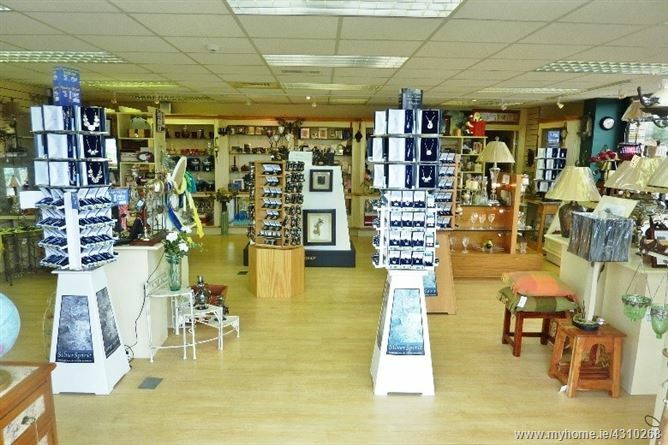 Ground Floor: Comprising of Shop/Showrooms, Factory, W.C., Office and Store. First Floor: Comprising of Canteen, Offices W.C.'s and Mezzanine Areas.